What is it like being a Philadelphia wedding photographer nowadays? It is rewarding, it is challenging and it always boosts our creativity. Philadelphia boasts tons of breathtaking architectural masterpieces, gorgeous parks and squares, multiple fountains and lastly - a lot of phenomenal venues to get married at! 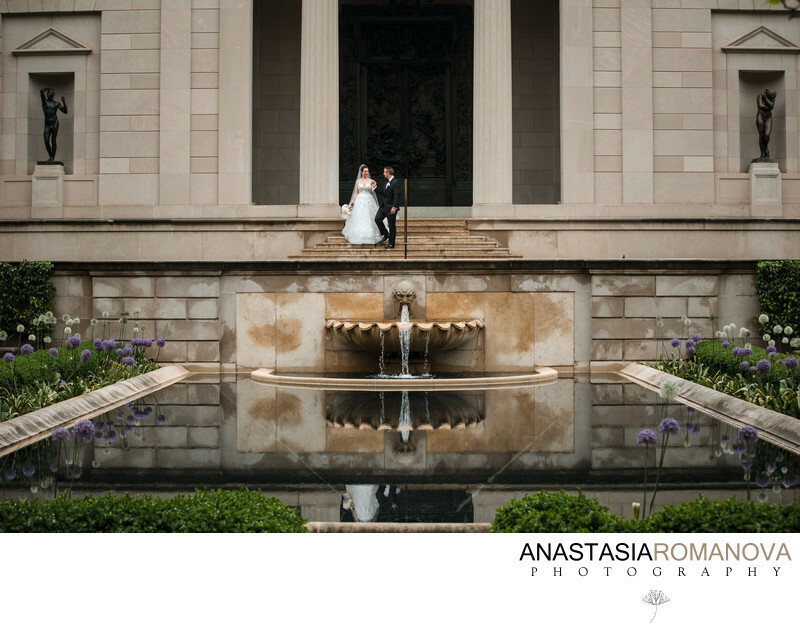 As Philadelphia wedding photographers, we are very well familiar with all of the city's main highest. When choosing a location for your engagement session photos, we always do our best to provide you with a few different options for you to choose from. Depending on your style, and also the look and the feel you want to achieve on your engagement photos, we will guide you through what Philadelphia photo location would be the best for your vision. Choose a close by location. Don't plan on traveling hours to the location of your dreams just to take photos there on your wedding day. If you are getting married in the center city in Philadelphia, don't plan on going to Longwood Gardens just because it is so gorgeous. Traveling will eat up your portrait time, and a s a result you will have less photos and you will be stressed out and exhausted. Not traveling too far for your wedding photos will also ensure you won't stuck in traffic. Go small. By saying this I mean not to plan on going to multiple locations for your wedding photos in Philly. Pick one or two, or three max. Unloading and uploading all your bridal party every time you travel to one location from another will take more time than you expect. I would recommend choosing one primary location that it on the top os your list. Then you can add a few other secondary locations. For example, you can have the Washington Square Park as your primary Philadelphia wedding photo location with your bridal party, and then have a quick ride to the Philadelphia City Hall for the couple's portraits. Plan B for a rainy day. With the weather being so unpredictable these days, it is necessary to plan for a back up location for wedding photos in case of the weather won't cooperate. As Philadelphia wedding photographers, we have a quite a few locations for rainy days in our arsenal that always work great. We can also count on taking a portion of your wedding photos at your reception venues, inside the decorated ballroom or a beautiful hallway, or even a beautifully furnished lobby. Prior to your wedding day, we will discuss the back up location plan with you and decide what would be the best option for your wedding style and you preferences. Don't forget the Permit. Mostly all of Philadelphia's historical area requires having a permit for wedding photographs. The prices will vary depending on the size of your bridal party. The more detailed information on what locations require a wedding photography permit in Philadelphia can be found here. 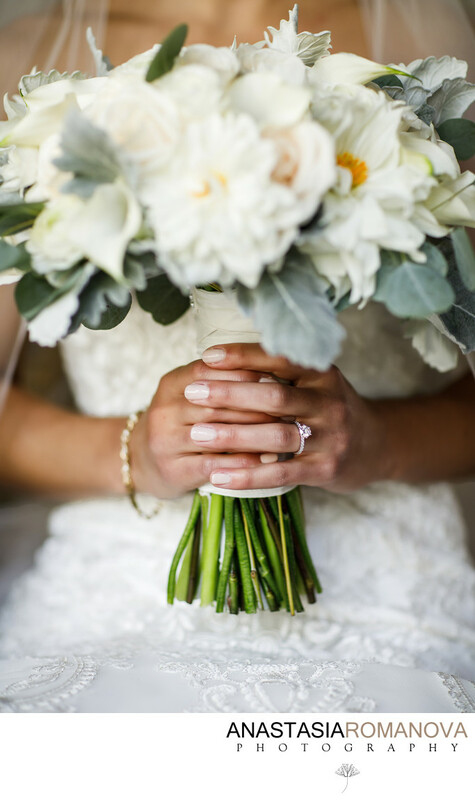 What to expect from your Philadelphia wedding photographer? As your wedding photographers, we strive to provide you with the best wedding photography experience and make with ride more fun and less stressful. Upon our initial meeting I will walk you through the wedding timeline so we can decide how many hours of coverage would be the best for your wedding. We will dive into the album design process and will talk about the benefits of doing an engagement session. From eight to six weeks prior to your wedding, I will be reaching out to you via email and sending you a wedding questionnaire. It will help us to be on the same page with you and prepare best for your special day. Then we will schedule an in person meeting at my studio in Philadelphia, or a Skype session to discuss your timeline, your portrait locations, your family photo lists etc. We want to make sure that we are familiar with every single detail and every moment the will be happening on your wedding day in order to tell your story in the most incredible way. If you are looking for a Philadelphia experienced wedding photographer, contact us today to check the availability for your date. We can't wait to hear from you!